Rear set of triple bunk beds. Three burner range, microwave, refrigerator, and a wardrobe. In the bathroom there is a toilet, linen cabinet, and a tub/shower. Just outside of the bathroom there is a bath sink. Queen bed with wardrobes on either side of the bed is up front. There is also curtain that can be used for privacy at night. Exterior pass through store area. We are open from 8 am - 5pm M-F, 9am – 3pm Saturday. 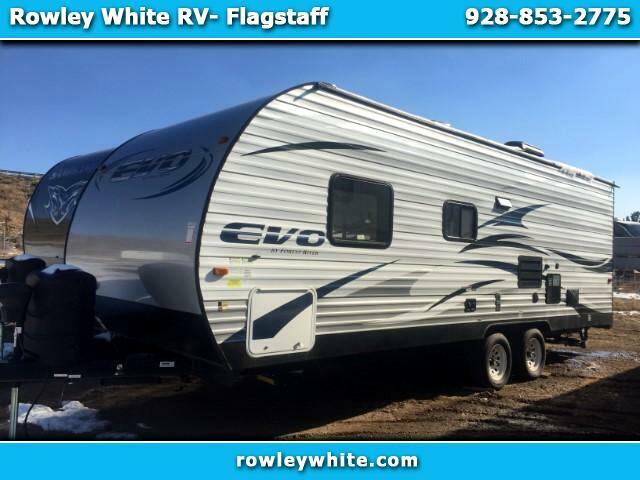 Visit Rowley White RV online at rowleywhite.com to see more pictures of this vehicle or call us at 928-853-2775 today to schedule your test drive. Message: Thought you might be interested in this 2017 Forest River EVO (Lightweight Travel Trailer).